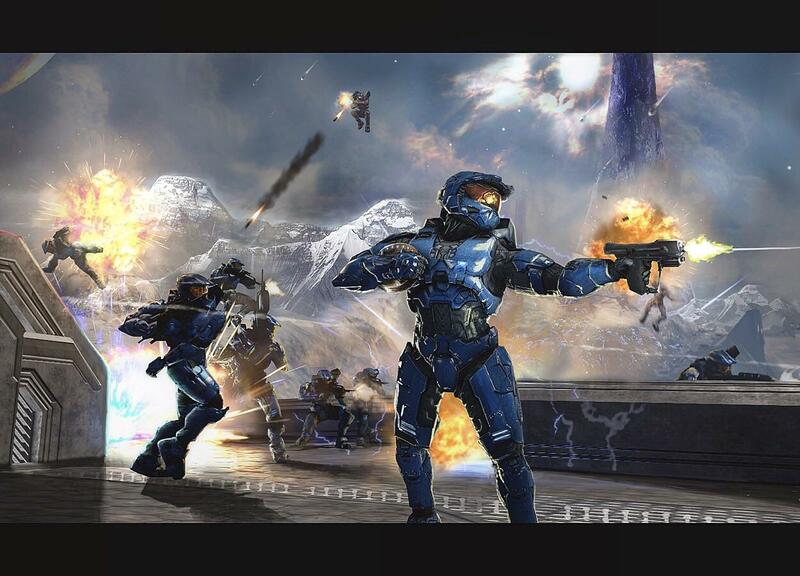 Welcome back to another heaping helping of community-created Halo goodness! This is our last official Community Spotlight of 2018 and we've doubled down on some truly awesome artwork, renders, crafts, cosplay, montages, and more! 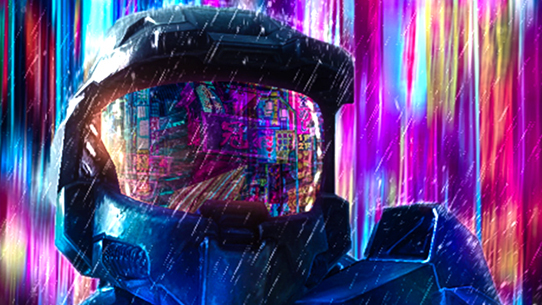 The creativity and passion shown by the Halo community never ceases to amaze and inspire and it's an honor to shine the spotlight on some of your work. 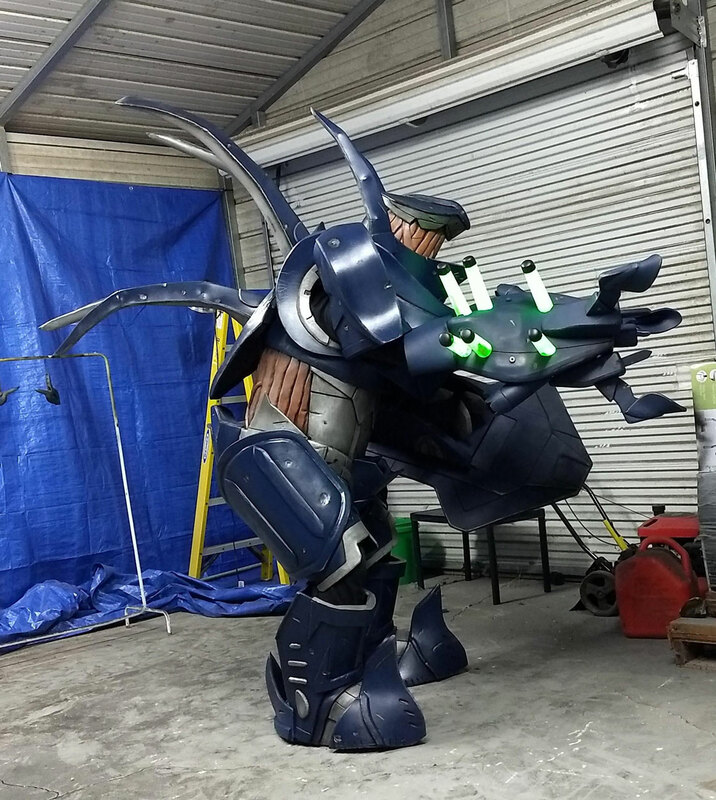 Remember that we love seeing and sharing Halo community creations here on Halo Waypoint. 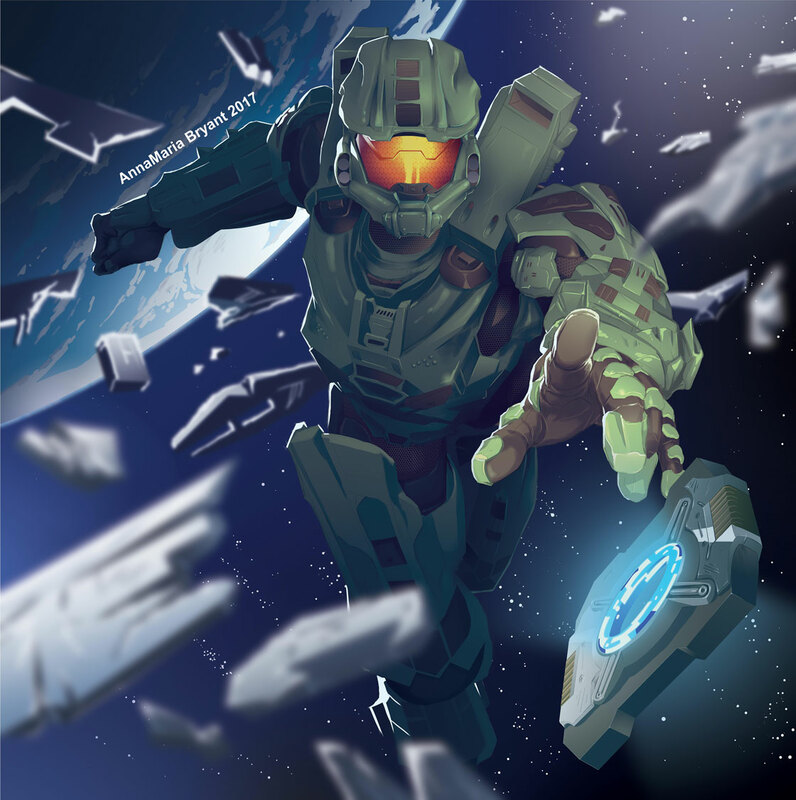 We do our best to round up spotlight submissions from across the community and while we frequent the Halo subreddit, remember to also share your content with us on social using the hashtag #HaloSpotlight to better bring it to our attention. While not necessarily new, these adorably awesome Pokemon-Halo mash-ups by Kaleb Raleigh recently made the rounds on social (it's new to me!) and definitely warrant some spotlight love. 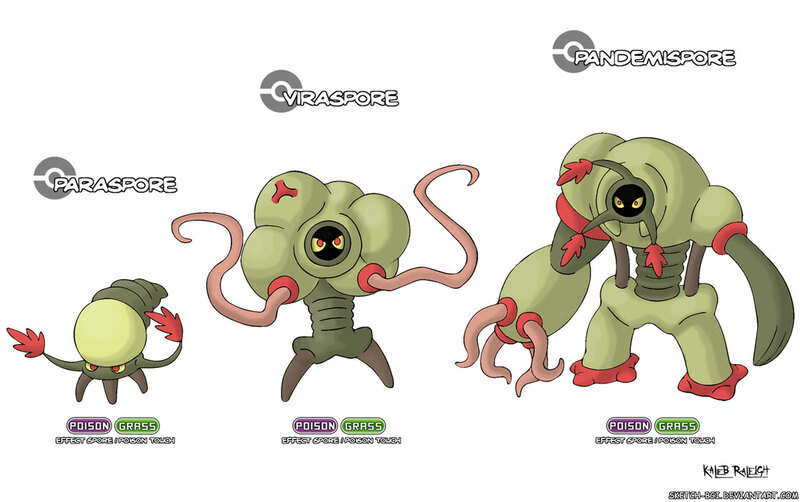 Head over to Deviant Art and check out the entire gallery for ultra-cute evolving Grunts, Hunters, Prophets, and more. 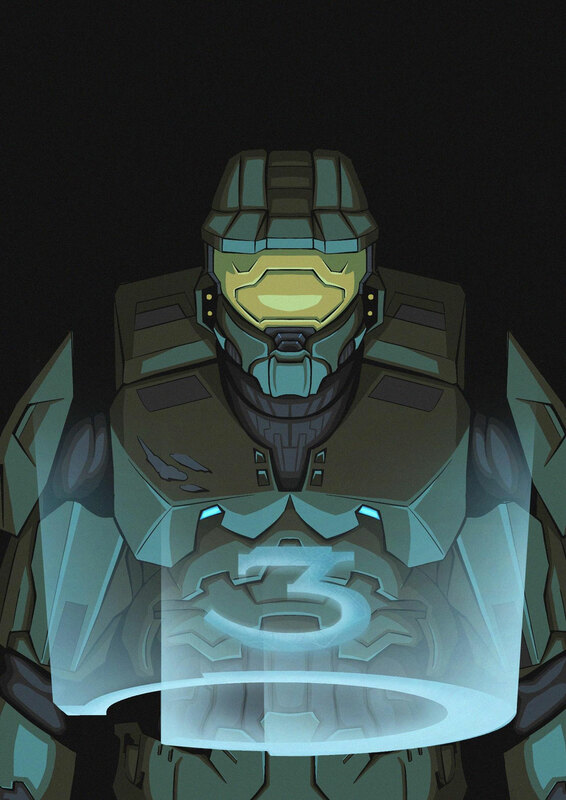 This illustration by Alex2013 that was posted to the Halo subreddit is on point as Halo 3-mania is sweeping across the community. 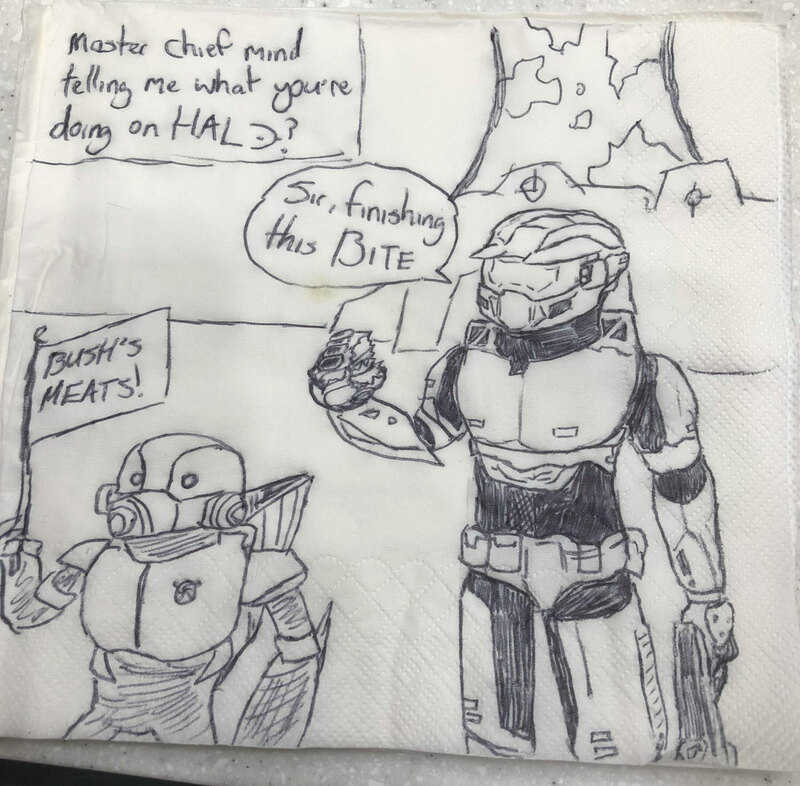 SwerkyDerk does "napkin drawings for my local butcher" and shared this Halo inspired work over on Reddit. Reminds me of an old joke we had back at Bungie with a take on Sgt. Johnson's famous line, "Folks need Gyros Chief! Give 'em hope!" Now I need a sandwich! 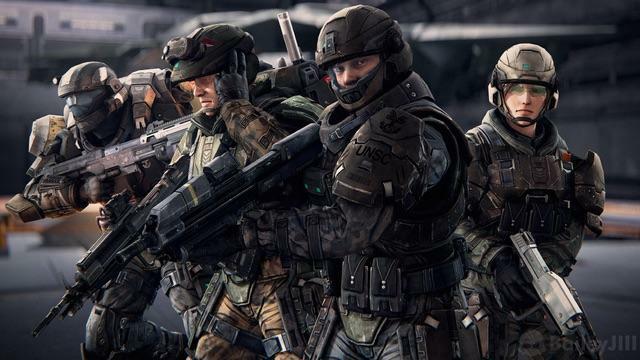 At first glance this is a pretty straight forward rendition of Noble 6's helmet. But this creation by Ya_Boy_Mr_Roboto on reddit is even more impressive when you realize it was created with JUST A MOUSE. As he put it, this was "about as hard as Halo 2 on Legendary." 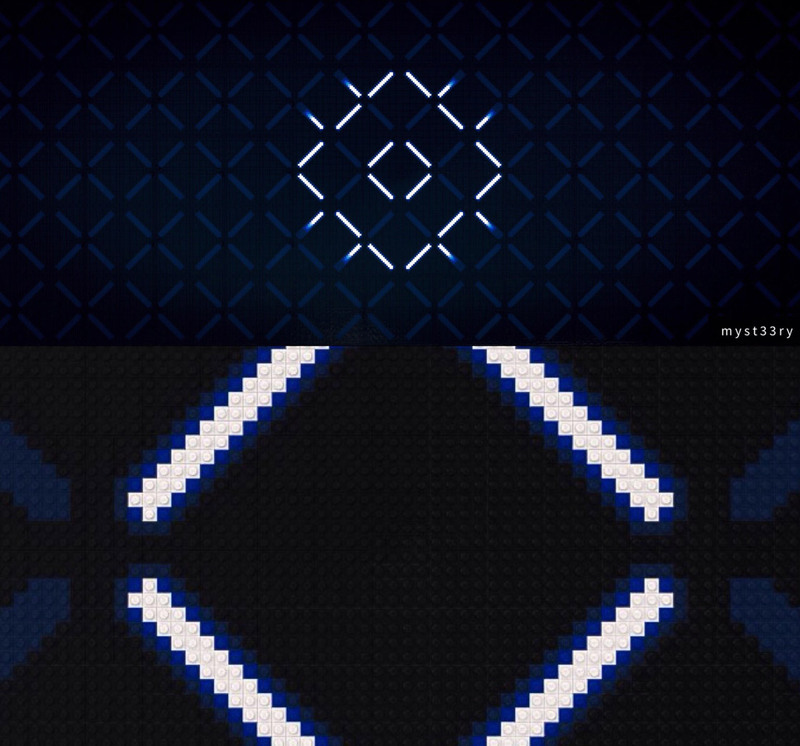 SilencedGamer build out this art in Minecraft's mobile version. Pretty good for pixel art on a phone if we can say so ourselves. 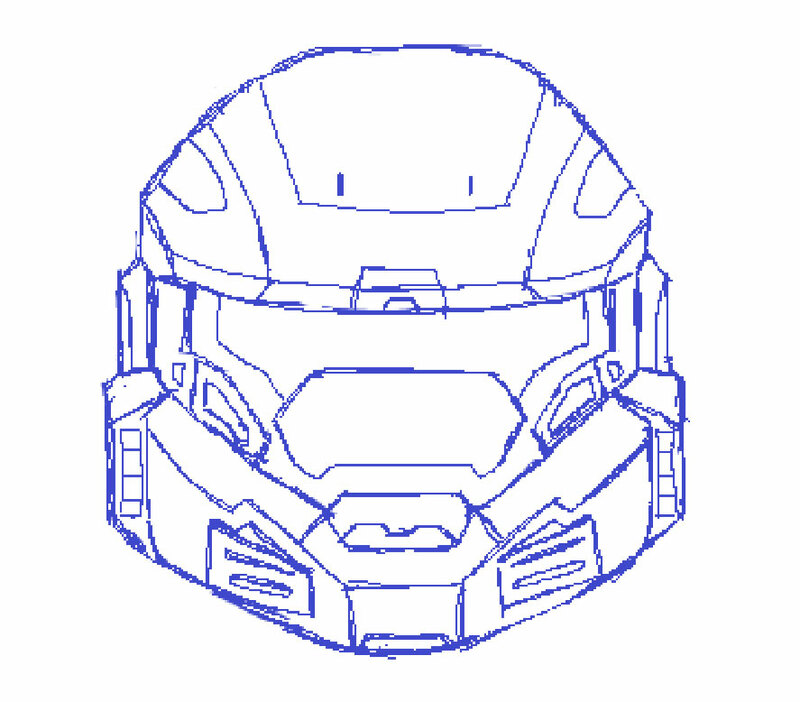 Digging this cool, iconc "MJOLNIR Mark VI [GEN 1]" drawing by kekioli over at the Halo subreddit. 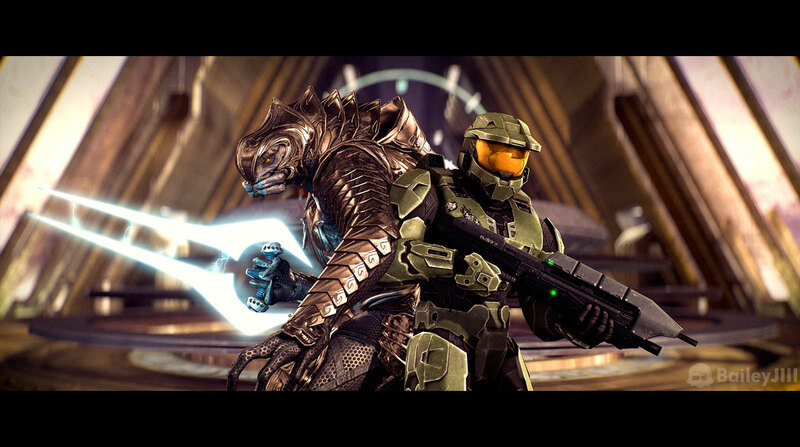 I caught this awesome piece on the Halo subreddit which was posted by user HarlequinKiss. Looks like it was actually created back in 2017 but hey, it's new to me and it's fantastic. 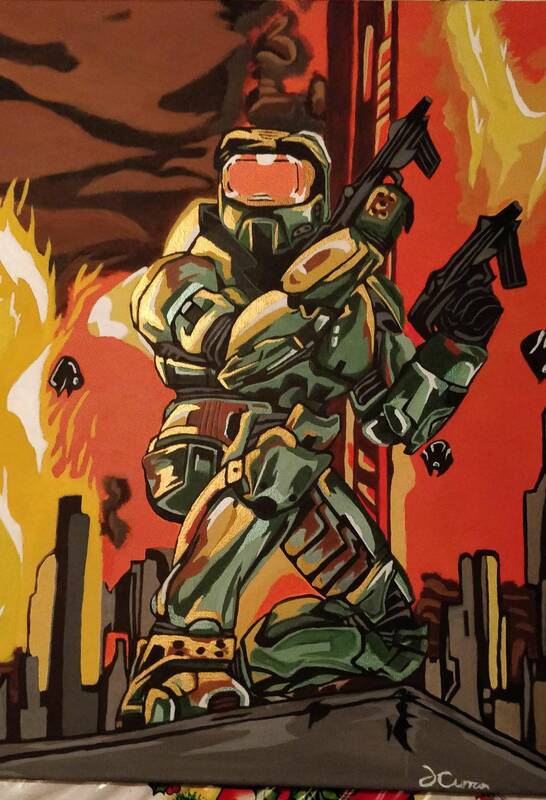 Redditor Soterios shared this awesome painting inspired by Halo 2: Anniversary that "was made by a friend." 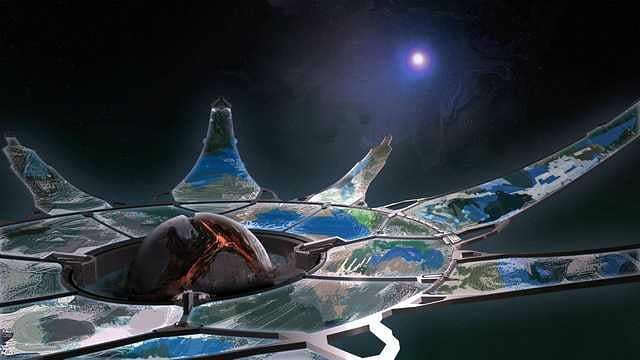 Not sure who the artist is, but excellent work! Update: Credit for this sweet painting goes to Audrey Miller! Only two days ago, Reyesbrush posted this beautiful digital art of our digital half, Cortana. 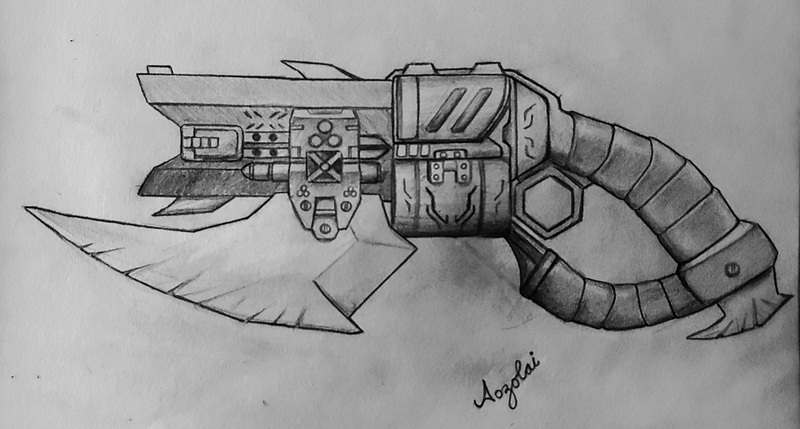 Aozolai, usually known for his YouTube videos, took to drawing this awesome Brute Spiker variant. 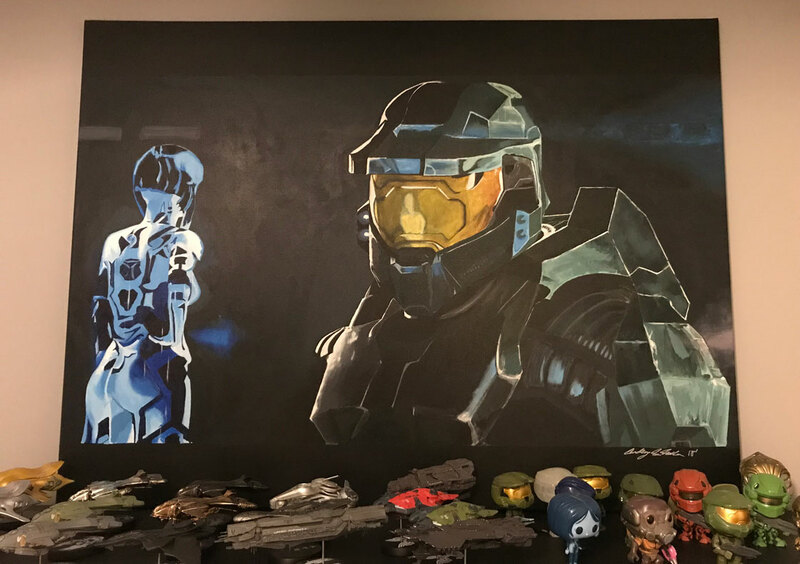 This "life-sized acrylic painting" was created by redditor codels27 "back in high school." It's new to me and totally worthy of the spotlight. Great job! 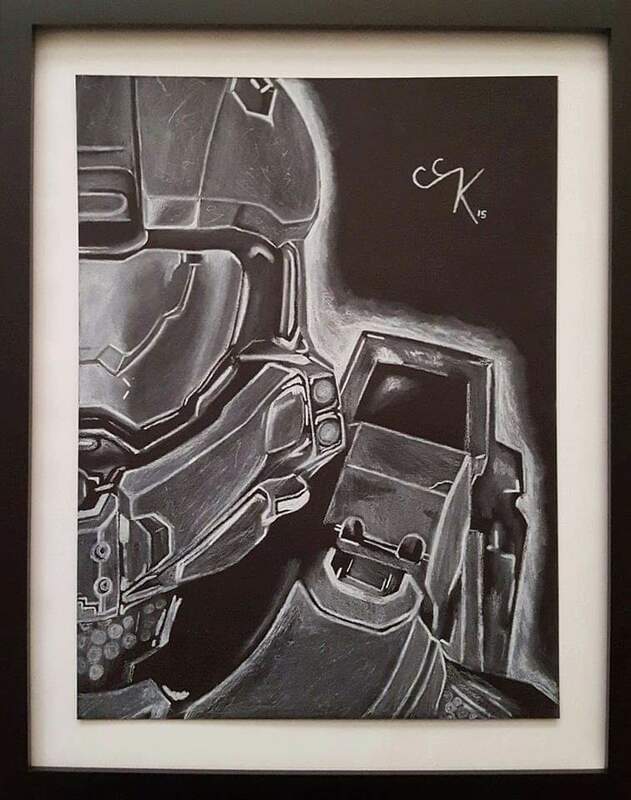 Codels27 also shared this excellent black and white charcoal drawing inspired by the "Reclaimer" mission cinematic in Halo 4. 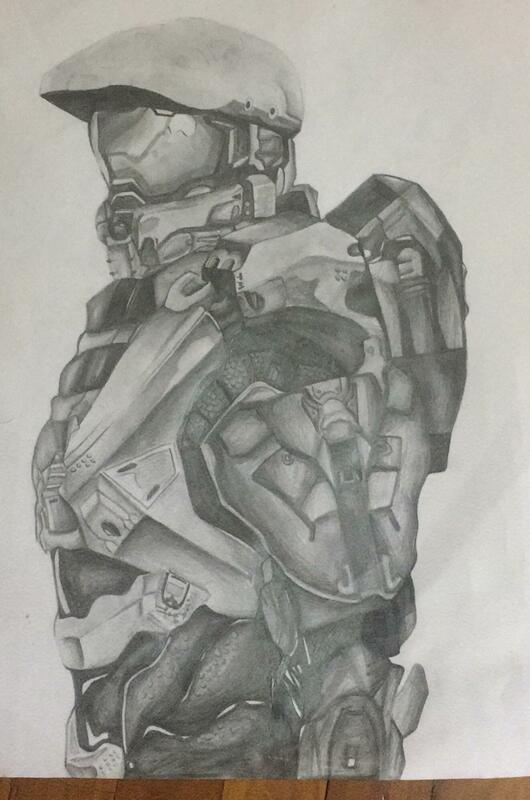 Check out this superb Spartan drawing by The-Halo-Enthusiast, spotted over at reddit. Hugh2711 met up with a childhood friend, reconnected, and talked about Halo. 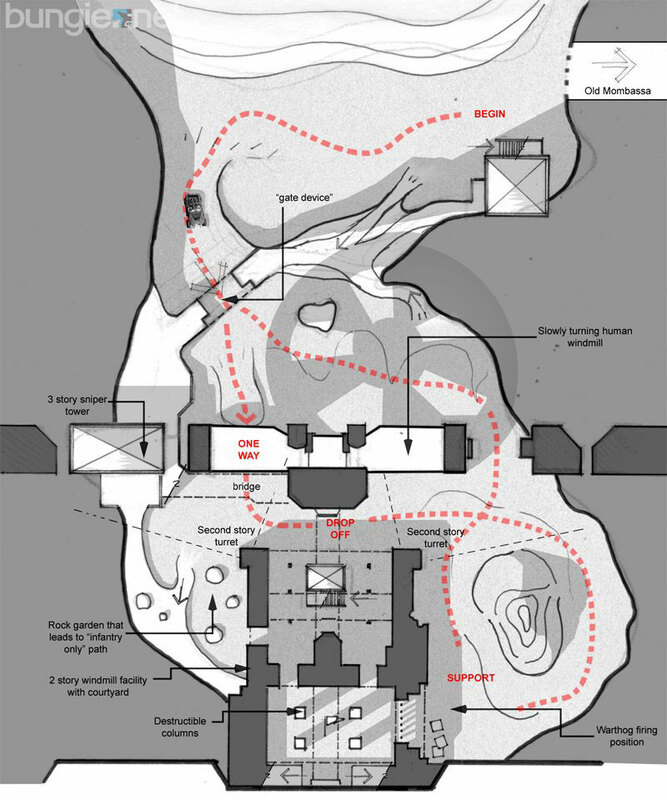 Not too long after, that same friend sent them this piece of Halo 2 art. FlattenedPutty says drawing this took all night, and we can believe it. How much did you eat, Chief? Tubby_central on instagram shared what they thought Chief and Arby probably looked like after a Thanksgiving feast. This one could count as both. 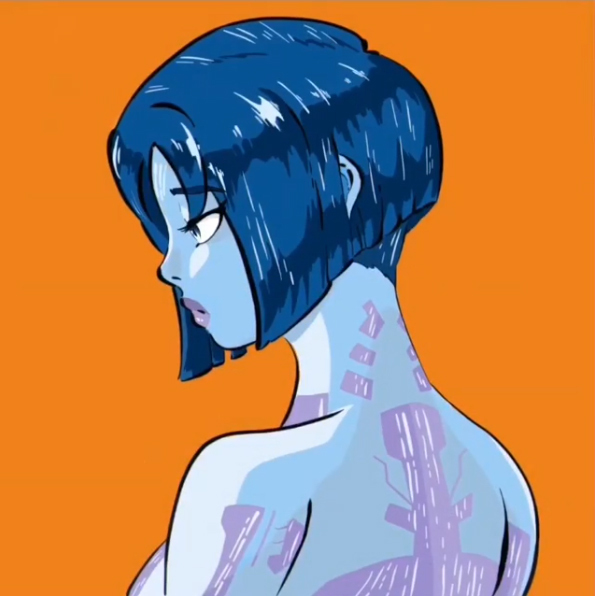 Blain Fox Animation made this looping animation of Chief taking down Regret, and it's quite satisfying to watch. Our helpful friend returned to the front of /r/halo thanks to this awesome Lego creation by myst33ry. 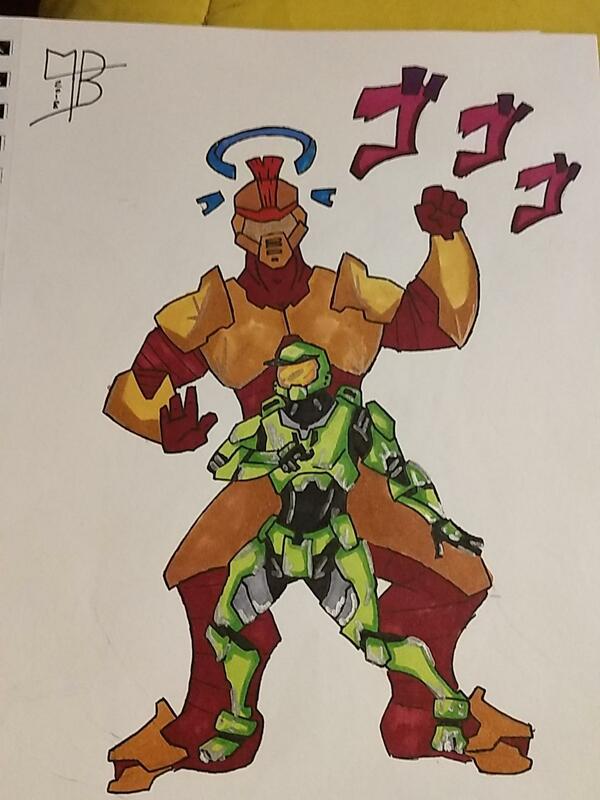 kekioli posted a sketch of Chief pulling off some smooth dance moves on reddit then colored it in after receiving tons of positive responses. Here's the result! 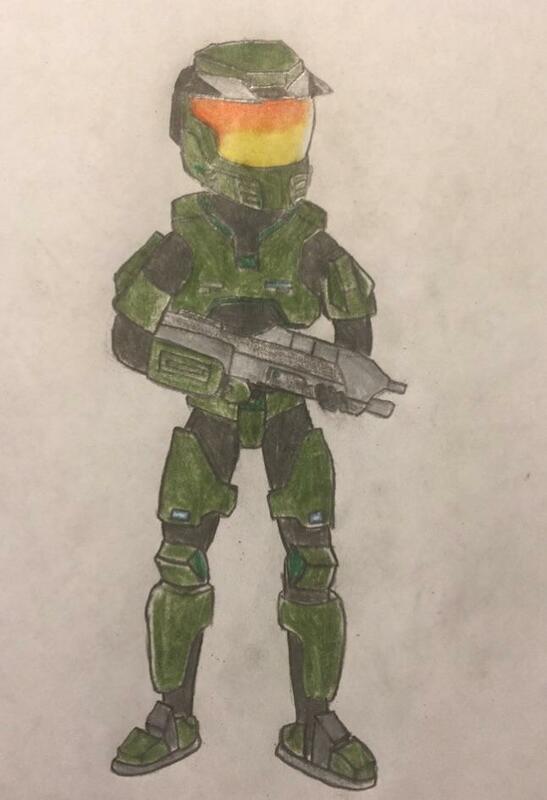 This simple cartoon version of Chief rocking the Mark V Mjolnir by MericanJack almost looks like it could be one of our Legendary Crate Halo Icons figures. Another fantastic piece of art we found on Instagram comes from, Dayikki, who claims it isn't quite finished... even though it looks spectacular. 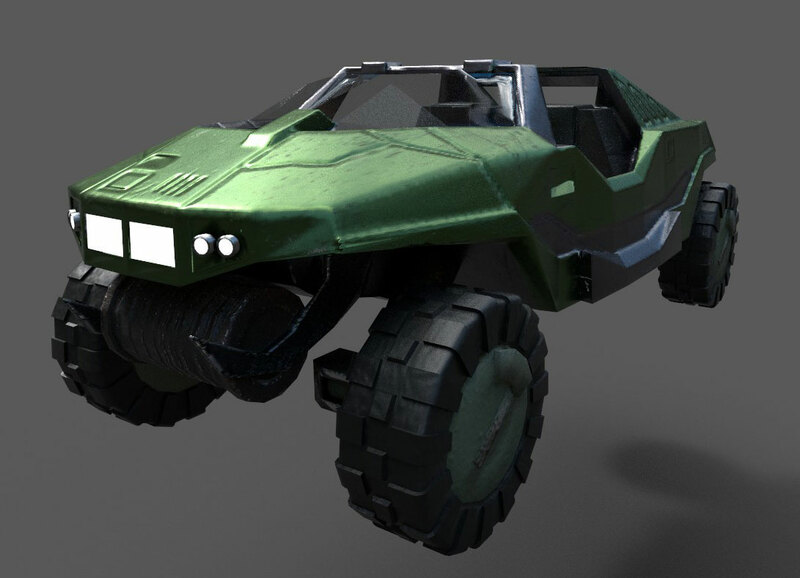 Dan Nguyen (aka Hakuru15) shared this really cool 3D render of everyone's favorite all-wheel-drive vehicle. Check it out in full 3D glory over at Art Station. BaileyJIII has been making incredible Source Film Maker creations for some time now and these two most recent works are draw-droppingly gorgeous. 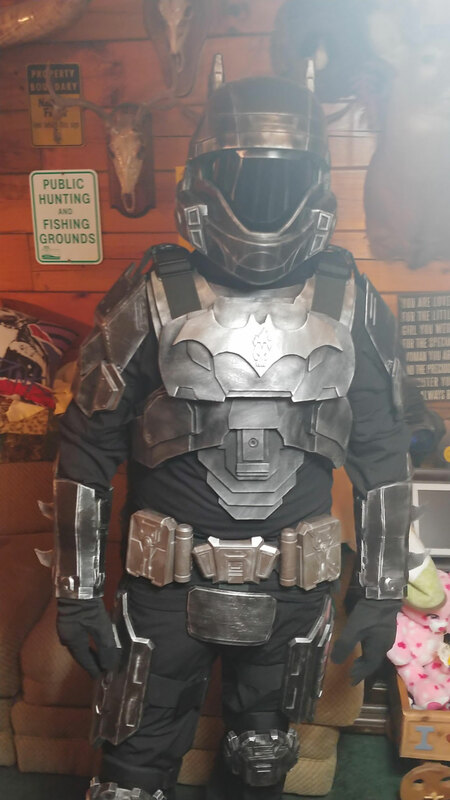 We've got three super impressive Cosplay entries ranging from a larger-than-life Hunter to a unique mash-up to a nice duos pic. 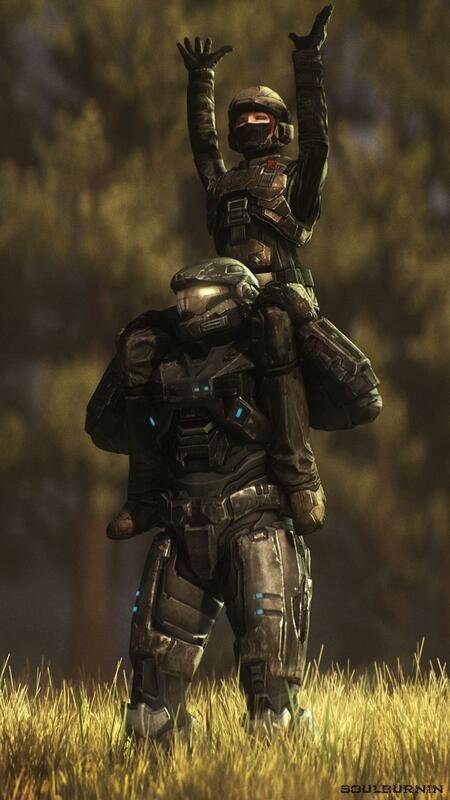 "Get on my six, Chief." 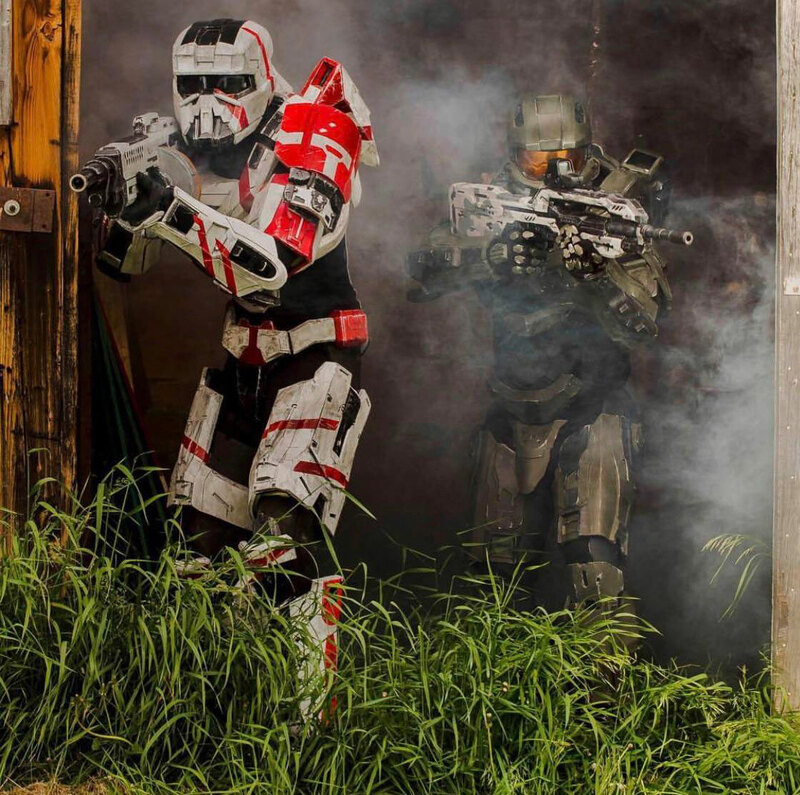 No this isn't a set photo from the Halo Showtime TV series, this is badass cosplay from redditor Theycallmestretch and his buddy Mike. So. Good. 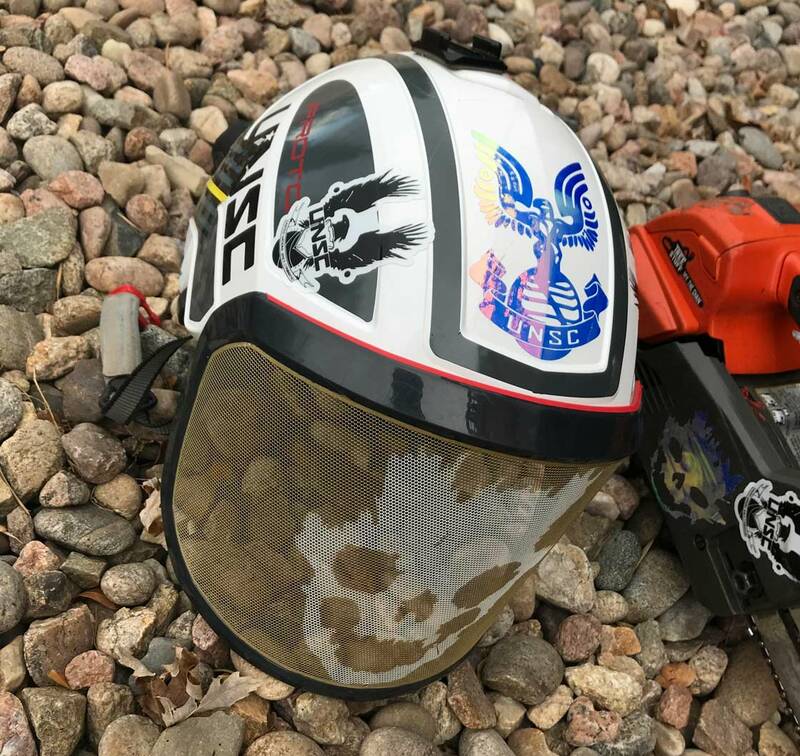 It's not quite a cosply, but redditor VanD3rp, shared his safety helmet and chainsaw which are both decked out and in true Halo-fan fashion. We've got a few top notch montage creations this time around and with the recent announcement of the HCS Grassroots program, we hope to see many more in the weeks ahead! He's back! Puckett teams up with PlazaPlays and GTHalo and Yahiamice for the first #PuckettsTopTen in a long, long time. 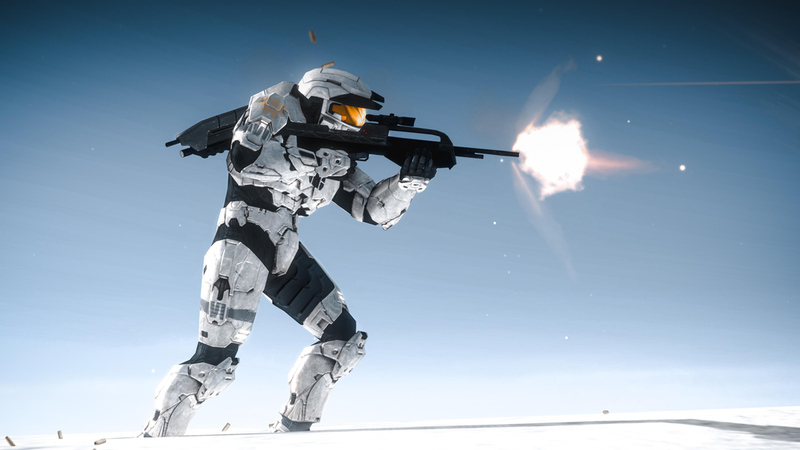 Speaking of montages (and YouTube content in general), Halo creators that are looking for some fantastic, safe music to use need look no further - the fine folks over at Installation 01 have released soundtrack stems for the community to use! 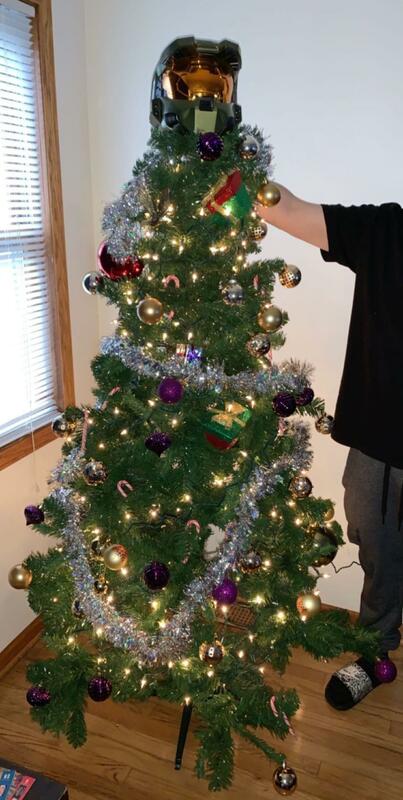 Redditor fredward321 is getting into the Halo-day spirit with this special tree spotted over at Reddit. 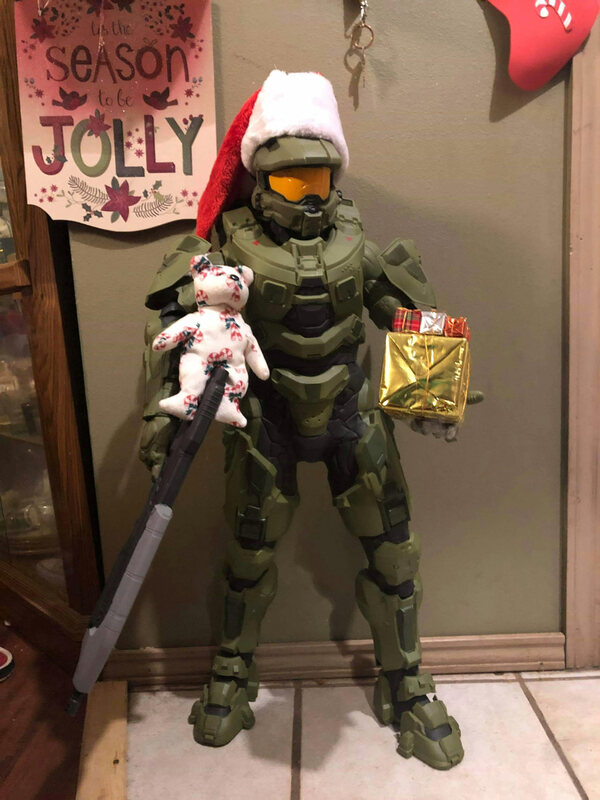 CxeeFoxx also joined in on decorating her tree and leveraged tons of Halo gear, including plenty of Legendary Crate items, to have an truly Halo tree. 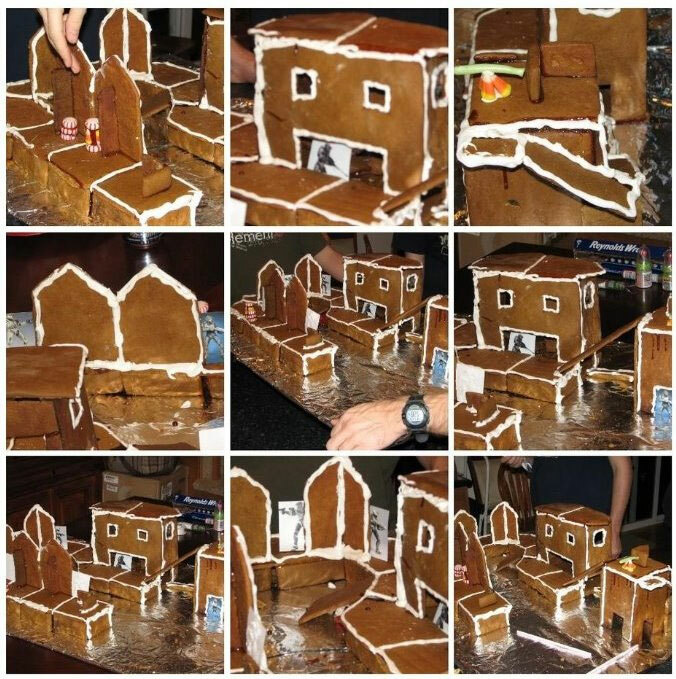 Now for something super unexpected and original - redditor sockofillrepute built "The Pit" out of gingerbread! Mitri97's door greeter thought he'd try giving all his presents away this year, switch things up a little. Here are some of our favorite screenshots (and a few Forge creations) spotted on Twitter over the past few weeks! Have a screenshot to share? 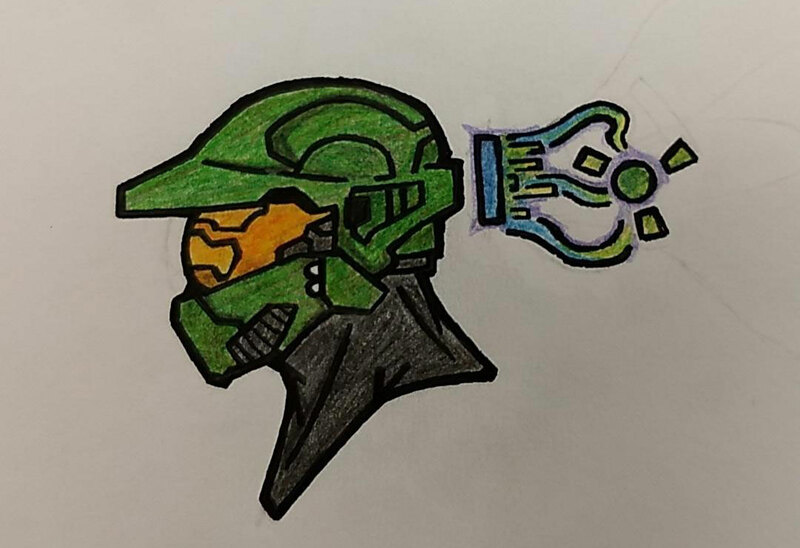 Post it on Twitter with hashtag #HaloSpotlight! We also spotted one simple winter wonderland screenshot on reddit by Tschekju that reminded us that snow days are just around the corner. 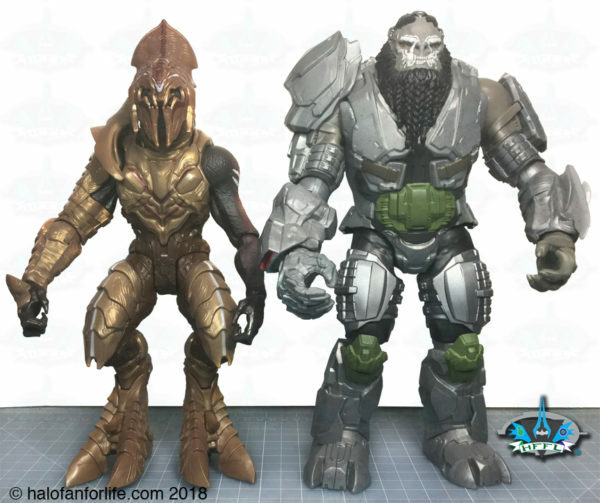 HaloFanForLife has been posting an incredible amount of reviews of Halo figures and toys over on his website over the past few weeks. If you enjoy our Mattel line, or just want to see more pictures of them, head on over to check 'em out! 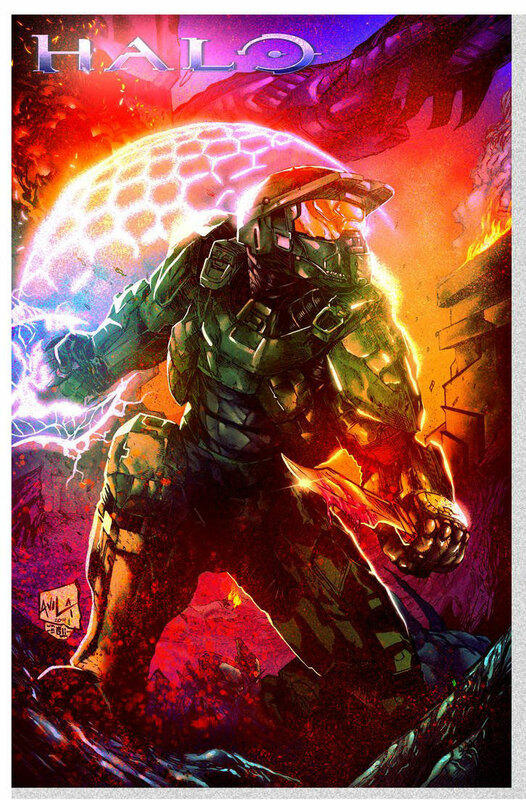 Thank you to everyone across the Halo community who shares their passion, creativity and talent with us. Your work is inspiring to the team and the community at large and is part of what makes the Halo community so special. Keep doing your thing and please be sure to tag it for us using hashtag #HaloSpotlight! If you were featured in this Communit Spotlight, help us get you that 343 Unicorn skin by getting us your Xbox Live Gamertag! You can reach out to me on Twitter to expedite things. We'll be on a bit of a hiatus over the holidays but look forward to dusting off the spotlight and showcasing more community creations in 2019! Happy Thursday community compadres, welcome to the latest spotlight which is once again a cornucopia of cool community creations. 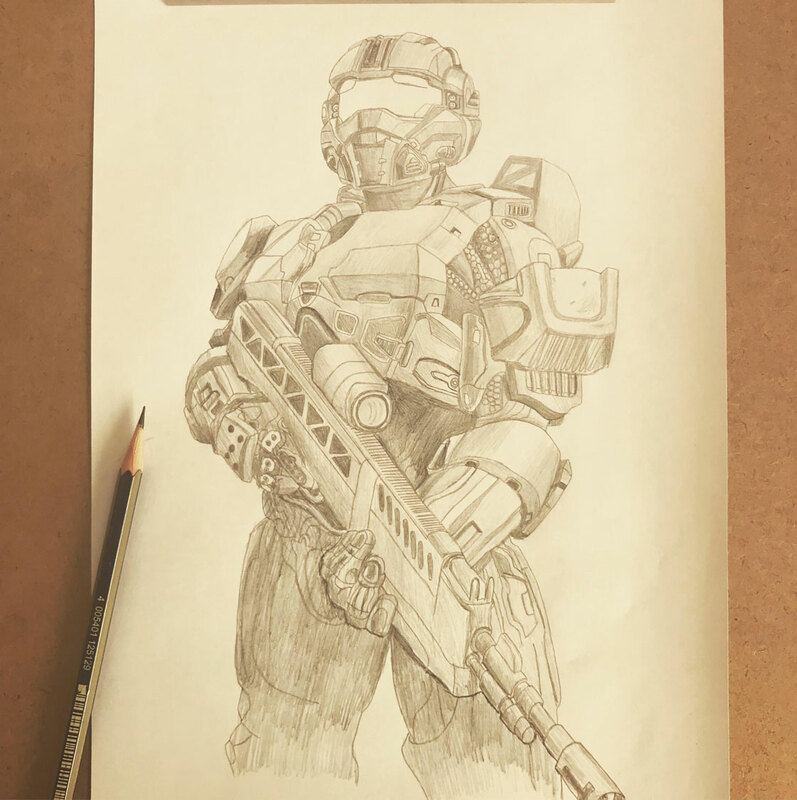 Jump in and take a gander at some of the amazing things the Halo Community has created over the past few weeks and be sure to share your own works with us using hashtag #HaloSpotlight! 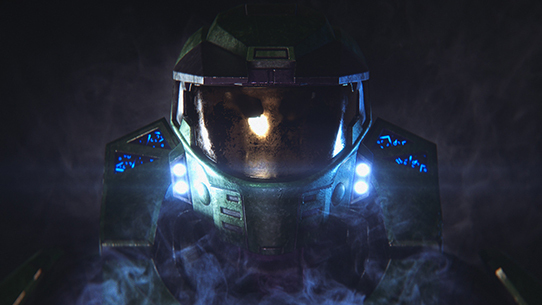 Community Spotlight has been one of my favorite things to compose in recent years, because it’s a constant reminder of the incredible talent and creativity than runs rampant through Halo’s amazing fanbase. Seriously, the stuff you folks continue to do after nearly seventeen years is both astounding and inspiring. This week is no different. 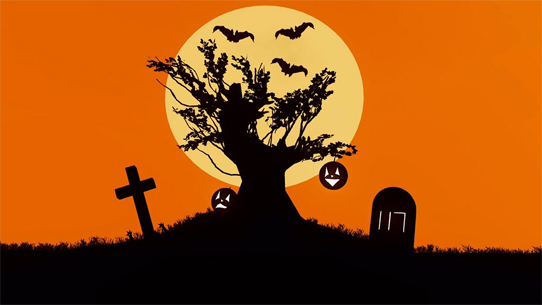 We’ve got fan art, cosplay, screenshots, pieces of prose, and some Haloween high jinks – all of them brilliant creations by brilliant folks. “Out with the old, in with the new” – I’m told that’s how the new year is supposed to work. Or is it “New year, new me?" Anyways. It’s 2019 and I’ve only written the wrong year twenty-ish times (a dozen on this post alone) so we’re off to a good start. Can you believe there hasn’t been a Spotlight since last year? Me either. I should fix that.